What’s up everyone! 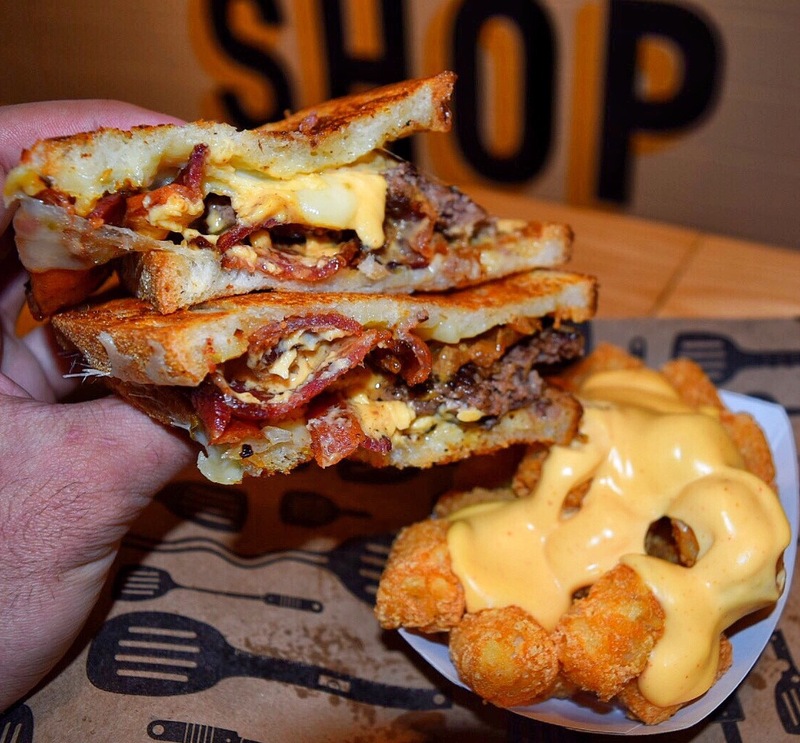 Today I’ll be telling you about a great spot called Melt Shop located on the west side of Manhatten New York. I will be reviewing on a few things. Menu – Short, sweet n straight to the point! About 8 or so sandwiches to choose from. Only tots on the menu which is good but I like fries better. They also do milkshakes! The Food – Well since in was my first time and I also go with a burger or some sort, luckily they had a burger melt! This burger melt included Pepper Jack, Cheese Sauce, Special Burger sauce Caramelized Onions & pickles. I don’t like pickles so I took those off and added bacon! All on a sourdough bread. Also had some cheesy tots! Overall it was delicious! Got a little bit of kick from the pepper jack cheese and the Caramelized onions did this melt justice! 5/5 for this melt! Presentation – 9/10 of the time I find myself fixing my food for a better pic. This was the case here, I kinda had to squeeze the sandwich to make the juices flow and organize the bacon a little bit to make a better picture. Service – not much to it when it comes to service here. order your food, they call your name and that’s about it. But the guy at the register was helpful when I asked him for help choosing something good. Cost – I paid close to $20 for my meal which isn’t terrible considering how good it was and I was on the west side of Manhattan also i never really care about the cost of the food if its worth it. Could’ve still been a bit cheaper around the $15 -$16 mark and I would’ve been more satisfied. Overall I’ll give this place a solid 4/5 only because the tots were good but nothing out of this world, didn’t really compare to the amazing melt I had. Still worth a try if your in the area and crave something quick, good and comforting to eat! Next postBroccoli Cheddar Cheese Sticks!